Engineers for Change (Sierra Leone) is a relatively new charity made up of dedicated professionals qualified in various engineering disciplines and with extensive experience in their fields. The Board of Trustees consists of volunteers employed by UK and international organisations or operating their own businesses in the UK and internationally. Members of the board are strongly encouraged to be members of the Sierra Leone Institution of Engineers (SLIE). The Engineers for Change (Sierra Leone) Business Plan outlines the charity’s fundraising strategy for the period 2014 – 19 to support key education-related projects in Sierra Leone. The day-to-day affairs of the charity are managed by a Board of Trustees and other dedicated volunteers. 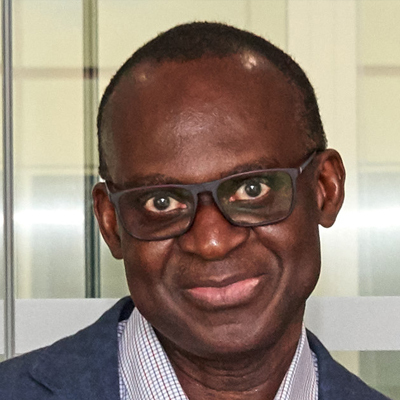 Abubakarr is a civil engineer and construction management professional with over 30 years experience of delivering building and infrastructure projects in Sierra Leone and the United Kingdom. He has a BEng (Hons) in Civil Engineering from the University of Sierra Leone and MSc in Construction from Loughborough University in the United Kingdom. Abubakarr is a member of the Chartered Institute of Building, the Institution of Civil Engineers, the Sierra Leone Institution of Engineers and the Chartered Quality Institute. Abubakarr has been a member of Engineers for Change since its inception and has been actively involved in fundraising activities for the University of Sierra Leone. Laurence Pratt’s career as a civil engineer spans over 35 years. 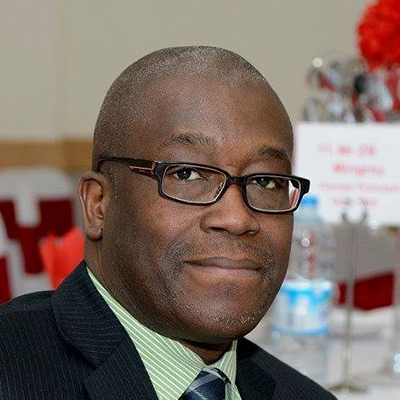 He is a co-founder, past Chairman and current Trustee Board Secretary of Engineers for Change (Sierra Leone) – EfCSL. Since the formation of EfCSL, he has worked with the Institution of Civil Engineers (UK) to re-establish the role of the ICE Country Representative for Sierra Leone. Additionally, he has been involved with fundraising and donation projects to support engineering education in Sierra Leone. Laurence Pratt has presented technical papers to the International Roads Federation and the Sierra Leone Institution of Engineers conferences respectively. He is particularly committed to increasing the awareness of and pride in professional engineering institutions amongst engineering students and graduate engineers. Modupe is a management consultant specialising in the project and programme management of major infrastructure projects. He is a chartered engineer with over 25 years’ experience in delivering major projects in the UK, including railways, airports, highway and public utilities. Modupe is a co-founder of Engineers for Change (Sierra Leone) and since the inception of the charity he has participated in fundraising projects, presented papers at conferences in Sierra Leone and coordinated the development of an Opinion Piece on the management of the highway infrastructure network in Sierra Leone in response to a recent natural disaster. 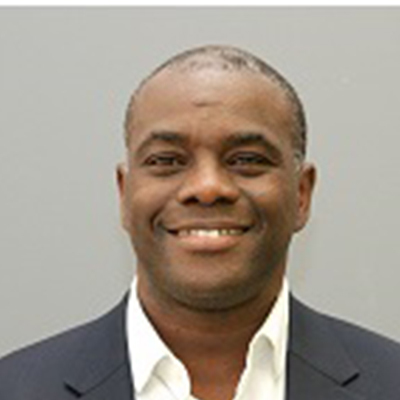 He is currently the Programme Manager leading Engineers for Change (Sierra Leone) five-year fundraising strategy. Modupe holds a degree in Civil Engineering from the University of Sierra Leone and an MBA in Project Management from Henley Business School. Mariama is a Senior Commercial Manager with Transport for London specialising in pre and post contract management and administration. 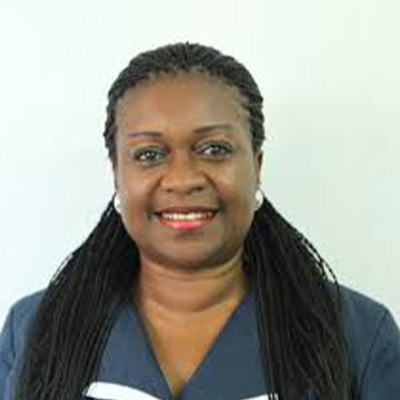 She has over 25 years of extensive operational and administrative experience in public transport operations, infrastructure and logistics, and has worked in both surface and underground transportation. She is currently the Lead Commercial Manager for the Capacity & Optimisation Portfolio at London Underground, overseeing the procurement and commercial management of a number of programmes including civil works, signal and controls systems for the Jubilee, Northern and Piccadilly lines. 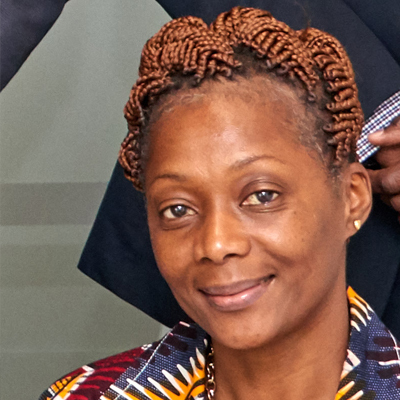 As a Senior Procurement Manager at London Underground, Mariama was responsible for the procurement function of one of the company’s investment programmes, focusing on strategic purchasing activities including contract awards for the Victoria Line Mid-Tunnel Ventilation Shafts (cc £25m) and Sub Surface lines power upgrade packages (cc £120m). Mariama has provided planning, logistics and the procurement of materials and spares for the maintenance of trains, signals and associated assets. Mariama’s human resource experience has been gained through the process of negotiating and recruiting professional service providers under performance management and appraisal frameworks. She is also an accredited workplace mediator for TfL. Trudy Morgan is a UK Chartered Engineering and is the Institution of Civil Engineer’s International Representative in Sierra Leone. Trudy has an MBA from the Cranfield School of Management well as BEng (Hons) from Fourah Bay College, University of Sierra Leone. Trudy is a Member of the UK Association of Project Managers. She sits on the Council of the Sierra Leone Institution of Engineers and is on the board of the Professional Engineers’ Registration Council. She is currently working in Sierra Leone as the Programme Director on the $70M design and construction of the new Hilton Cape Sierra Hotel in Freetown, Sierra Leone. Whilst in Sierra Leone, she has also worked with the World Bank in developing a programme to address the challenges of inadequate of the urban services provision within the capital, Freetown and more recently on the Schools Reopening Programme in response to the Ebola crisis in Sierra Leone. She is a Presidential nominee to the National Privatisation Commission and has been working with the Ministry of Finance to leverage the recently created Skills Development Fund for young engineers. Trudy is representing Engineers for Change in Sierra Leone and is jointly for building relationships for EfCSL in Sierra Leone. Henry Smith graduated with a BEng (Hons) from Fourah Bay College and an MSc in Petroleum Engineering from Heriot Watt University. He is a chartered engineer with over thirty years of engineering experience in various countries in Africa and Europe. He has electrical design and installation experience from working in Sierra Leone and Nigeria where he was responsible for major projects. He later joined Schlumberger, a major service company to Oil and Gas companies where he worked internationally for twenty years in various positions. Since 2008, Henry has been working as a Director/Petroleum engineer, interpreting oil well data and training petroleum engineers in various countries. 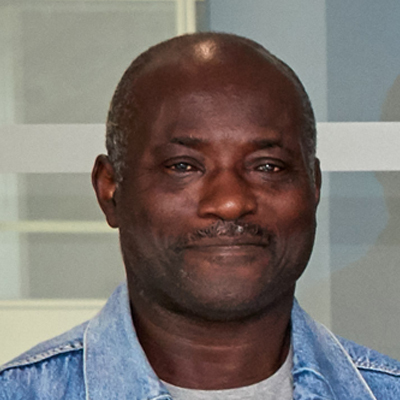 Rowland has a BEng (Hons) Civil Engineering degree from the University of Sierra Leone and an MSc degree in Urban Civil Engineering from South Bank University. Rowland has a broad range of experience in highways and wider engineering activity and currently manages a team of Highway Maintenance, Structures and Drainage Engineers working on a diverse range of projects. 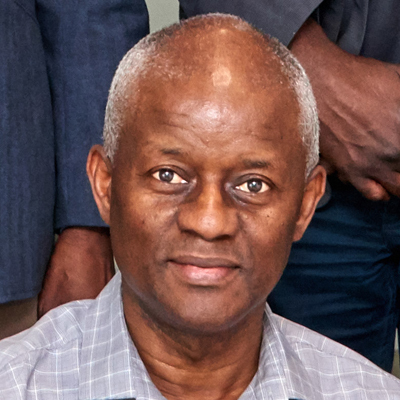 Rowland is a Fellow of the Chartered Institution of Highways and Transportation, and a member of the Institution of Civil Engineers and the Sierra Leone Institution of Engineers and is involved with a number of charities promoting education and in particular engineering studies. Michael received a BSc degree from the University of Edinburgh in 1979, and an MSc and PhD in Mechanical Engineering from Imperial College in 1987 and 1993 respectively. Between 1979 and 1989 he worked for WS Atkins (Consultant Engineers, Epsom, UK), specialising in the application and development of numerical methods for the solution of problems in solid mechanics. He has worked at Imperial College London since 1989. 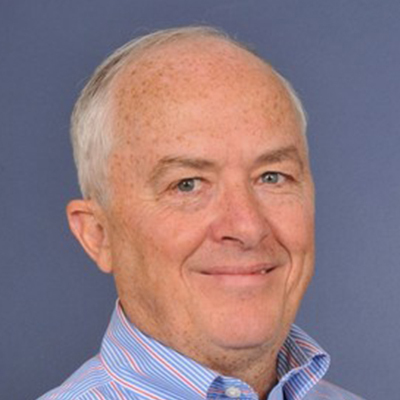 His research is in Non-Destructive Testing (NDT), with particular interests in structure-guided ultrasound, wave theory, and analytical and numerical modelling. His teaching interests are in mechanics, stress analysis, mathematics, vibration, and Finite Element Modelling. He is Head of the Applied Mechanics Division and Deputy Head of the Department of Mechanical Engineering, with specific management responsibility for the teaching activities of the department. He is a Fellow of the Royal Academy of Engineering (elected 2014) and is a director of Guided Ultrasonics Ltd (www.guided-ultrasonics.com), a spin-out company which was set up to commercialise the outputs of research in ultrasonic guided waves. Paul Jowitt is Professor of Civil Engineering Systems at Heriot-Watt University. He is a Past President (2009-10) of the Institution of Civil Engineers, a Fellow of the Royal Society of Edinburgh and a Fellow of the Royal Academy of Engineering. 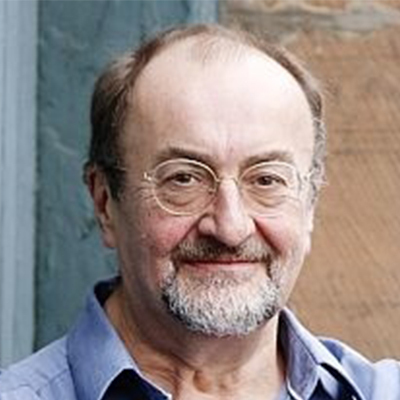 In 2011 he was awarded the CBE in the Queen’s Birthday Honours List for Services to Technology. He is President of the Commonwealth Engineers Council. Between 1999 and 2014 he was the Executive Director of the Scottish Institute of Sustainable Technology – a research-led consultancy providing innovative solutions for sustainable development in the natural and built environments. SISTech was a joint venture between Heriot Watt University and the international engineering consultancy MWH. He was a Board Member of Scottish Water from 2002-2008, and a non-Executive Director of United Utilities Water from 2009-2011.